Dimensions: 8.25" x 5.38" x 0.5"
Polly Block is a widely known and highly respected midwife. 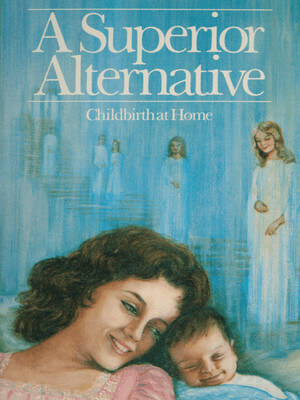 Midwives from all over the United States frequently seek her counsel, because of her broad experience with special birthing techniques. Recently she was invited by a scholar from a national foundation to assist in research on birthing customs in different cultures. Home obligations prevented her from accepting this honor. Her special interest has been the effect of herbs on pregnancy, labor, and delivery of birthing mothers. She has also developed an extensive home nursing file, which stresses diet, massage therapy, natural food supplements, and advanced first aid techniques as the basis for preventive health care and home preparedness. She has often been invited to share her data with leading researchers and practitioners in the field of home birth. Polly has been an active lecturer on the various techniques and procedures of home delivery. She recently lectured at a seminar for nurses and midwives at Idaho State University. And of course Polly has observed medical doctors and naturopathic physicians in the delivery of hundreds of babies. A native of Texas, Polly now makes her home in American Fork, Utah. Polly's efforts now focus on writing, and on lecturing in states where licensed midwives are free to render their valuable services.